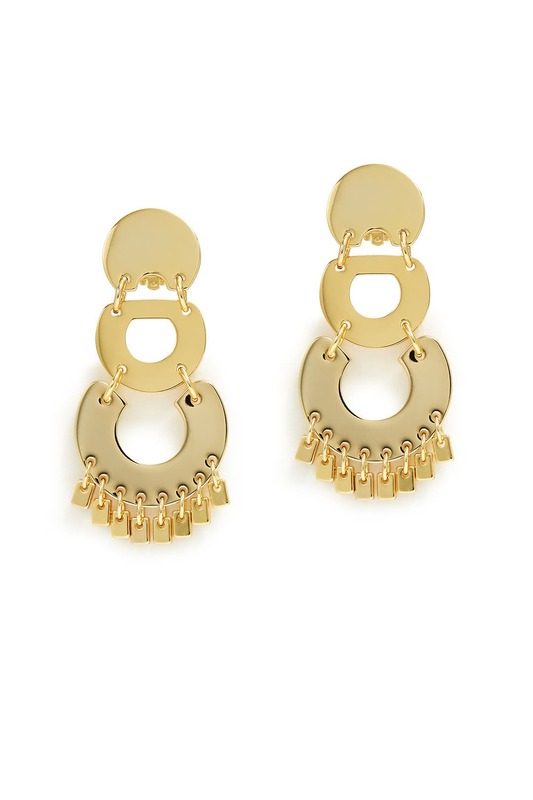 These gleaming Lele Sadoughi drop earrings add timeless glamour with every step. 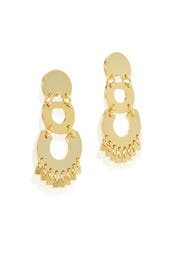 14k gold plated chandelier earrings with arches and golden confetti dangles. Clip backs with comfort pads. 3.5" long. These earrings looked beautiful online and in the box, but once I tried to put them on I realized they were clip ons. The earrings were so heavy that they kept sliding off of my earlobes, so I was unable to wear them. I rented these for a black-tie event. They flew off the entire night. They are too heavy and were falling off the entire night. Complete waste of money---rent a different pair of earrings. I'm so dissatisfied I'm asking for a refund since I couldn't even wear them, they had to be left in my purse since they kept flying off.